It’s time to start planning what Santa will find in his bag for our loved ones but where to start? Spoiling loved ones and seeing surprised happy smiles when they unwrap gifts is the best feeling. This year I am taking part in not one, not two but three Secret Santas. So exciting! I is not even December yet and I am already starting to feel very merry. My Christmas jumper is already out. Over the next few weeks I will suggest gifts that you can buy online. It is not going to be just any ordinary gift guide. This year I am going to introduce you to my blogging friends and what would I pick them based on what I believe their interests are and what they would like. I am staring with Melissa. We started talking just before I went to Thailand. It turned out that Melissa is as wanderlust obsessed as I am! I also know that she went to Bali and judging from the photos she posts on social media she has a soft spot for pretty home decorations. If this description reminds you of someone you know, check out what I picked below. Who knows you might have just found an excellent place to get all your Christmas gifts this year. I had a chance to find online a very quirky fair trade website. I was taken back straight away to a hot night markets in Bangkok. Present Company is definitely a shop that I am sure any traveller will be happy to get at least a few things from. As an ethical British based business they import only fair trade products and support best British brands such as Ashleigh & Burwood, Forever Cards, and East of India. Fair trade items do not have to be expensive to be fantastic gifts. This mosaic wall sign has been designed and hand made in Bali, where Melissa traveled to earlier on this year. I think it would straight away bring back all of the fantastic summer memories. I am slightly OCD when I buy things, especially as a gift so there is no space for imperfections. I must admit that the attention to detail is fantastic. You can see the hard work and skills required to complete the job. Big benefit is that indirectly by purchasing in fair trade shops you support and help to create economic communities and home businesses from underprivileged countries. I always like to make things simple, so to put it simply there is a big chance that you are contributing to saving an eight year old girl or her sister from prostitution. Gifts I usually send have a theme. 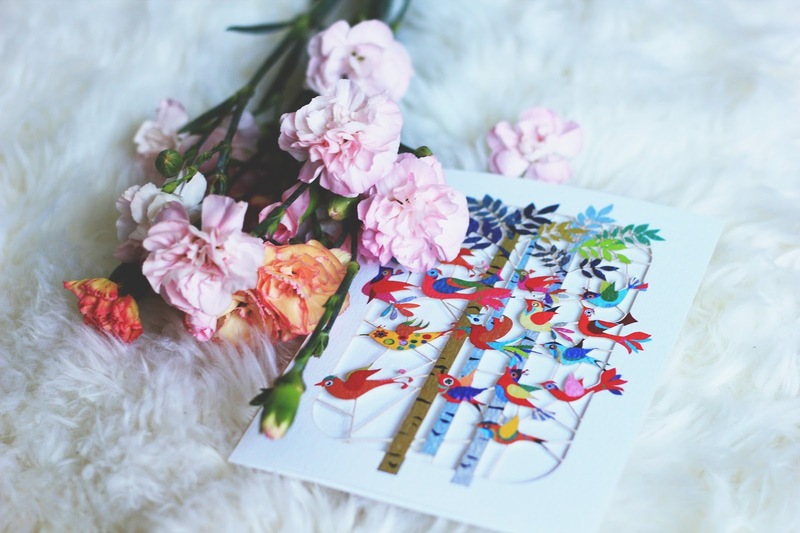 Stunning, vibrant laser cut card designed by a British designer with tropical birds in a forest of trees is exactly what would work. I had my eye on a similar set of coasters for a while now. I am a strong believer that bringing the positive message into your home can help seeing things in a better light. I have never visited Melissa so I would play it safe and add white coasters just in case. It would be lovely if after a long shift at home, Melissa could return back home and see a positive message that brings her smile back. What’s better than having one on a porcelain coaster that is used everyday? I have never understood why people would buy just one coaster that looks out of place. I think they should always come as a pair. 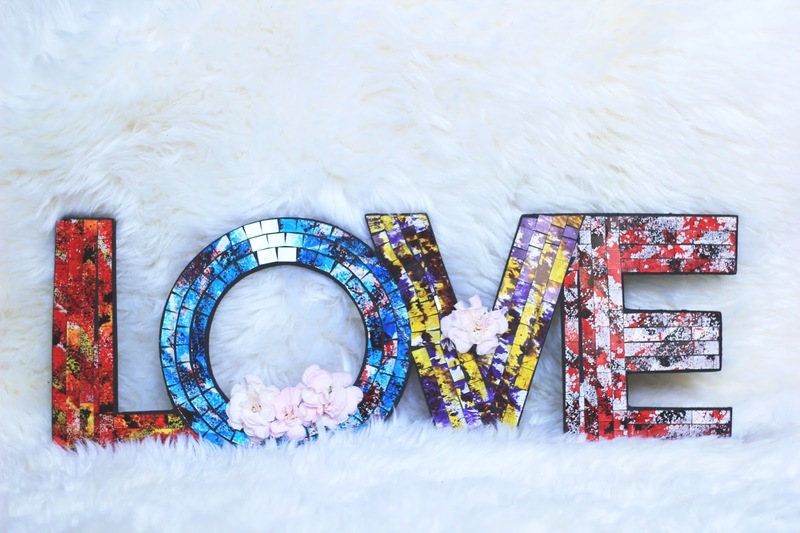 Finally my absolute favourite aroma diffuser that looks fantastic next to the ‘Love’ Mosaic Sign. The bottle is hand crafted from glass pieces in purple, red, and yellow and it is just stunning. Ideal to place it somewhere where it can catch and reflect the sun’s rays. 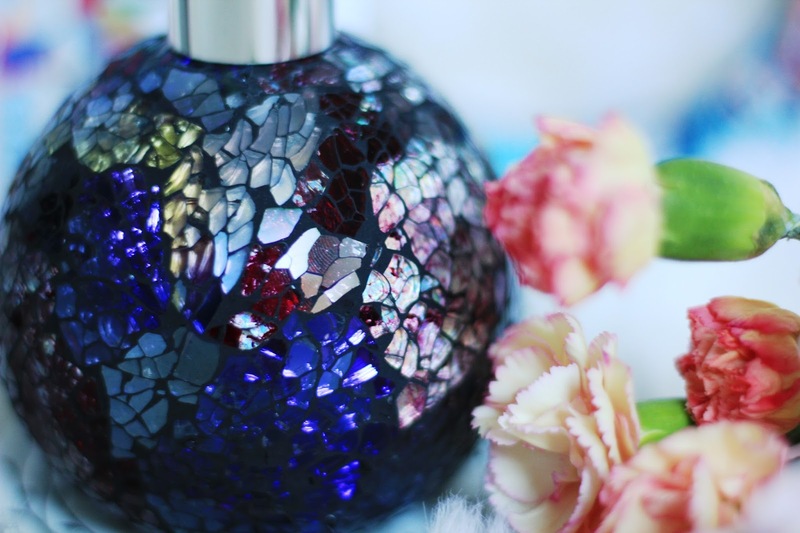 Subtle orchid smell will add an oriental scent in the middle of a winter to Melissa’s room. If you want to cosy up your nest check my other tips and tricks here. What do you think of a fair trade gifts? OMG IGA THAT DIFFUSER! 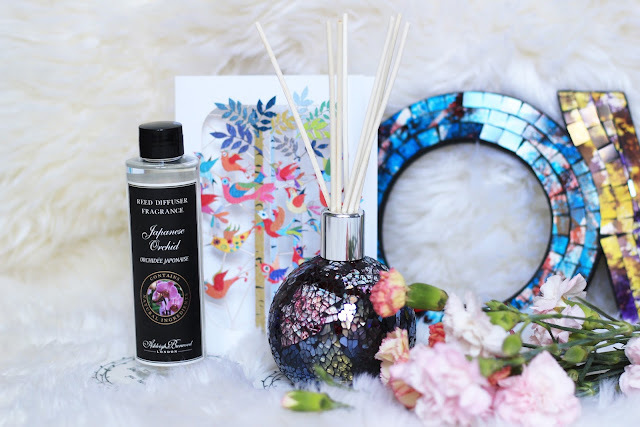 Honestly there is nothing more perfect than a scented diffuser with a Galaxy design! Think you've got me down to a T!! 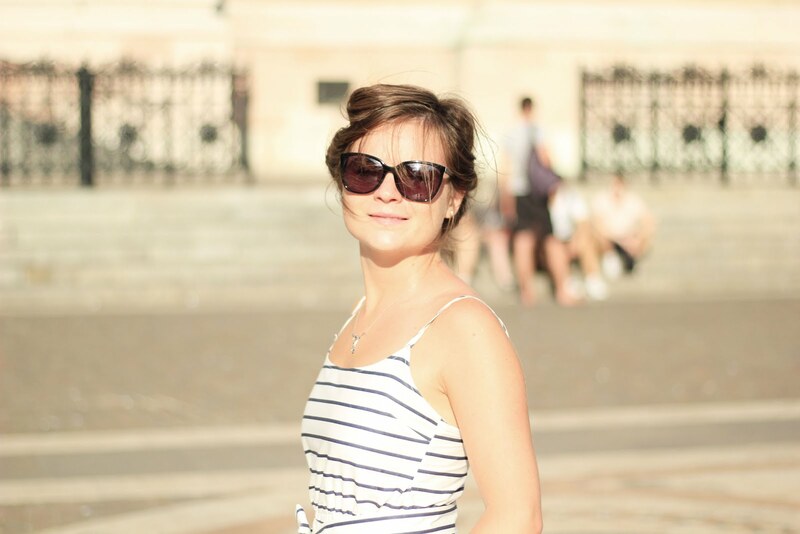 Absolutely loved this post, thank you so much for including me in it! Also, those chocolates from your other gift guide look so, so yummy! 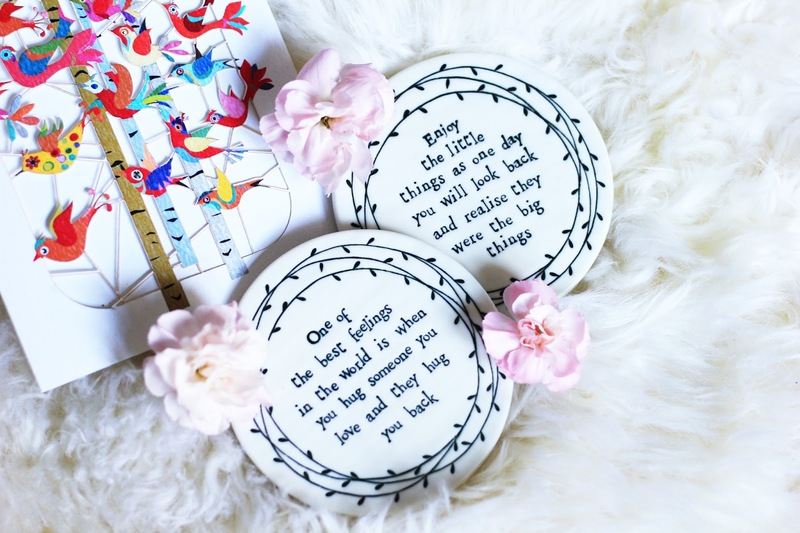 Such a wonderful post and some really lovely gift ideas! Thank you Nital! Your new profile pic looks amazing! Guess what? I have coasters like that. I just could not resist and decided to order them for myself.